Epson Brightlink Interactive projector sales are brisk! In the past, you needed a projector and an interactive whiteboard to create an interactive learning environment. Now, you can make almost any wall or basic whiteboard interactive with the BrightLink 695Wi and the BrightLink Pro series. 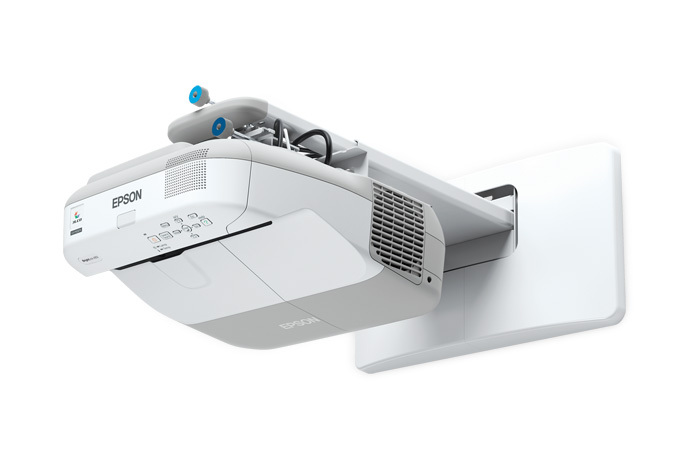 These high-performance interactive projectors + pen combination integrates interactive functionality in one machine without the constraints or expense of an interactive whiteboard. In addition to the dual pen interactivity, you can annotate with your finger. With ultra-short throw distance, extraordinary size flexibility, and fully-loaded projector technologies, BrightLink redefines a true all-in-one solution, which enables you to engage your learning community. Expand room coverage further and faster, and bring interactive capabilities to more students and classrooms. For more details please contact Spectrodata today for an interactive projector demonstration and watch a wall or whiteboard come to life!